Today it was time to push some miles to get to the next town where I get to enjoy some UMC hospitality. However, with my now 500+ mile old trail legs, big miles really don’t bother me anymore. After a big pancake breakfast at Upper Goose, it was off to finally connect the dots and reach the stretch of trail I hiked in 2014. I definitely had some nostalgia as the path seems amazingly familiar (I can remember exactly what I was thinking/feeling the last time I was here). However, it was almost equally sweet to think about all the Lord has done in and through me in the time that has passed between then and now…it’s been painful at times, but I’m so much stronger and more sure of who I am because of who He is now. 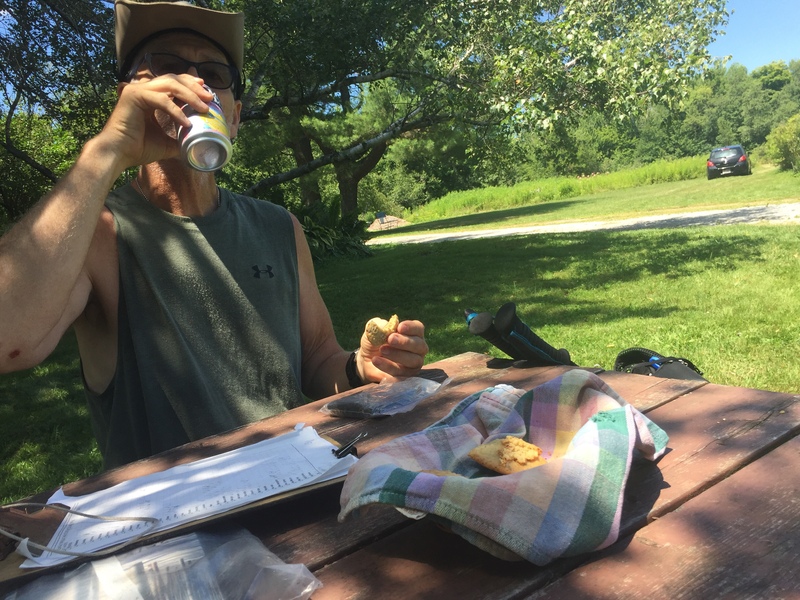 But back to the trail…today we passed the “Cookie Lady” who did indeed give us cookies and hard boiled eggs from her chicken coop-almost like home! 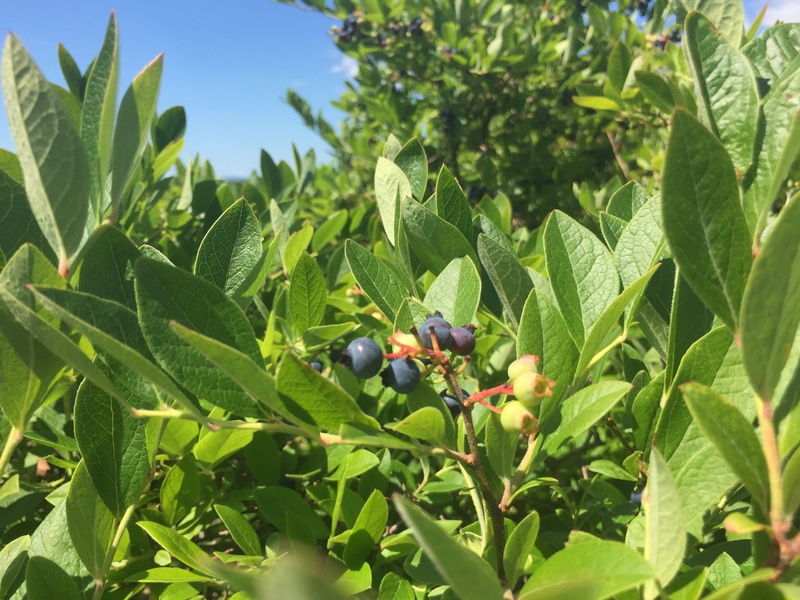 Just a few miles later, we came to an open mountaintop with more blueberries than I’ve ever seen in my life. I spent an hour living up to my name. I forgot to take pictures the rest of the day, but I passed through a town with even more trailside snacks put out by locals on their porches. Whoever you are, hikers sure do appreciate you! I’ve met my first few SOBOs (hikers going south) today and am looking forward to a stay with a UMC family (and shelter from rain) in North Adams tomorrow. Goodnight from the AT!